Hi all, for todays recipe we are making a melt&pour soap inspired by the breezy sea itself. We begin with a shea butter soap base. To this, we add in Dead Sea Clay which is well known for its uses in masks. This clay has a lot of great properties such as cleansing, moisturising and fighting dry skin. It also has many good minerals for the skin such as magnesium that reduces skin irritations and controls oil production. Next, we use cocoa butter which is rich in polyphenols; a type of antioxidant. This helps protect your skin from aging and keep you looking youthful. 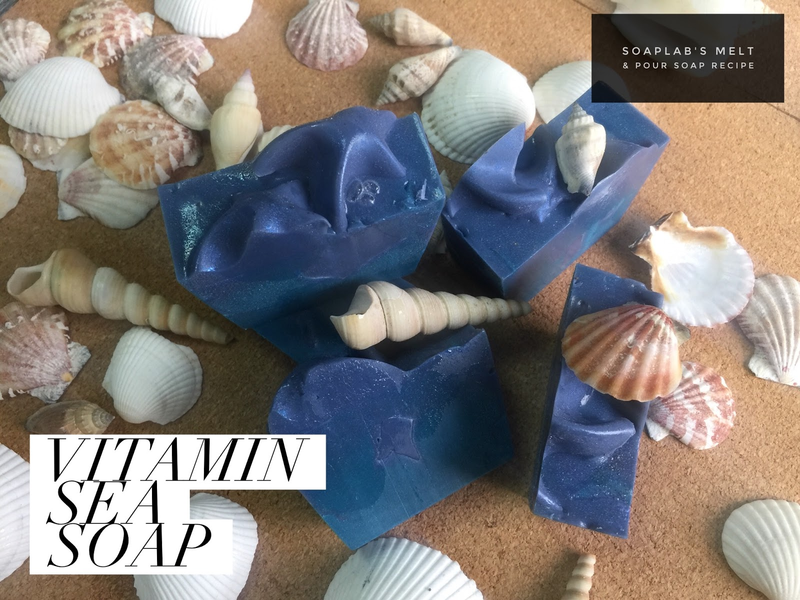 To keep with our inspiration, we use fresh sage and sea salt fragrance oil which reminds us of the sea and sunshine.... Of course , our choice of colours here were two shades of blue to take us back to our island holidays!